We make no apologies for replicating the following from the RYA website. It is, after all, the definitive information on this subject, and should leave the reader in no doubt about the requirements. 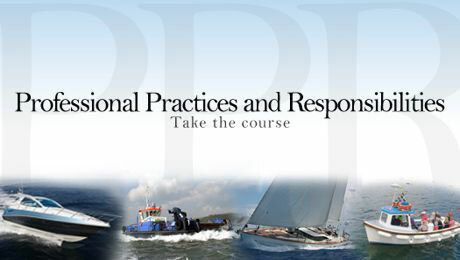 PPR is a compulsory online course for new and revalidating RYA Commercial Endorsement applicants. Each year approximately 4,500 people apply to the RYA for a commercial endorsement in order to use their RYA qualifications professionally as skipper or crew. You could be doing anything from delivering a new 35’ yacht or driving a workboat with lifting and towing gear, to running a super yacht in the Med. Whatever your job is on board, in the commercial world you are a professional seafarer. As such, you are no different from the captain of a cruise liner – you have a duty of care to crew, passengers, and other water users, and you will be held to account if things go wrong. You can take this course anytime prior to your Commercial Endorsement application or renewal. Your PPR certificate will be valid either for your first Commercial Endorsement application or your next renewal. The cost of the course is £39 including VAT (2013). Payment will be taken online as you start the course. Miramar Sailing School does not directly offer online PPR courses but we are happy to source this course for our students.